When: Saturday, March 27 at 10:00am. This race is the first in the 2010 Capital Area Race Series (CARS). It is a very challenging 5k course...just look at the CRs!!! 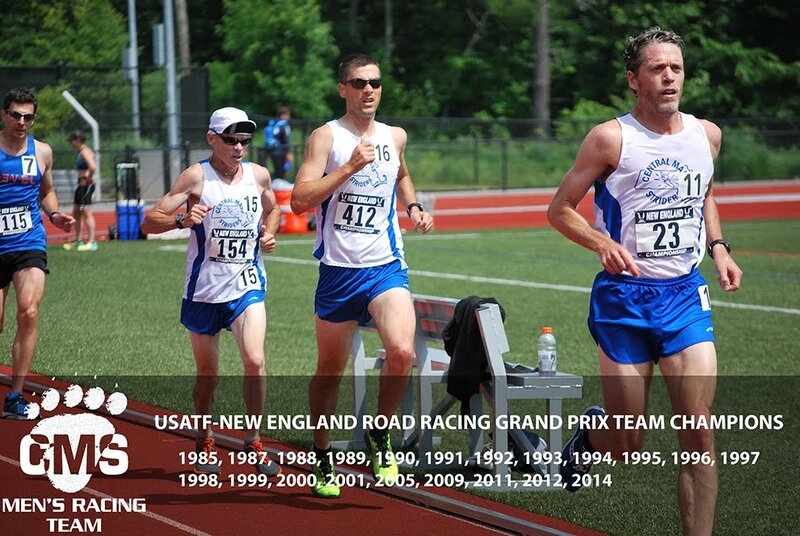 The Grand Prix action resumed this past weekend down in New Bedford, MA at the Half Marathon Championships hosted once again by the New Bedford Half Marathon. The CMS Men's Open and Master's teams were in full swing and had (unofficially) some strong finishes against very tough competition. The CMS Men's Open team finished 3rd overall, out of 25 scoring teams, only falling to two very strong teams in BAA and adidas New England. Jim Johnson, Bob Wiles, Jeff Goupil, and Greg Hammett all ran personal best times and the rest of the team really stepped up and competed well in near perfect conditions. Justin Fyffe and Andy McCarron (typically the top 2 guys for the Striders) had some issues but still toughed it out to the finish. Justin had been battling a head cold and Andy was dealing with stomach issues during the race and had to make a pit stop. Teamwork was the word of the day, as there was at one point a pack of 6 CMS runners together for about half the race. The masters team (pending a correction in the results) was 2nd only to a strong performance by Whirlaway. 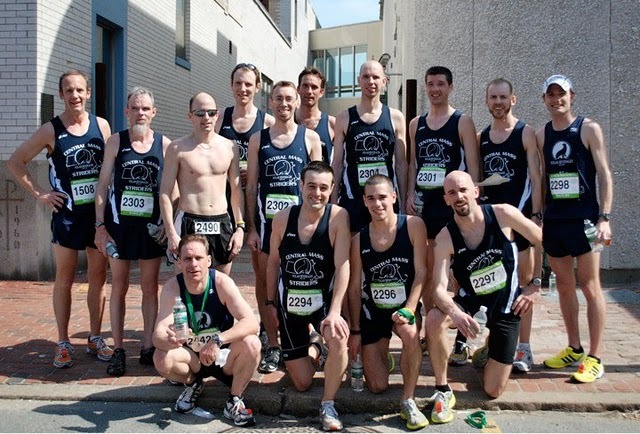 As the standings get updated this week, the CMS Men's Open Team should still be in second place overall, behind BAA in the total overall team standings for the 2010 Grand Prix. 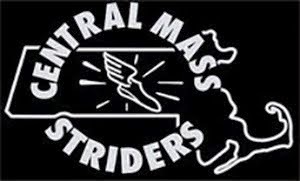 An great video montage of the race courtesy of Krissy K.
Lot's of action this weekend across New England for the CMS Men's Racing Team. 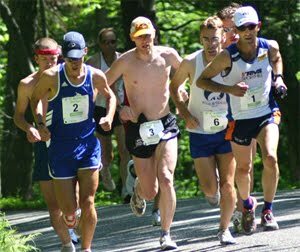 Up at Mount Washington in New Hampshire, the trio of Dunham, Tilton, and Johnson ran in the last race in the 2010 Granite State Snowshoe Series. 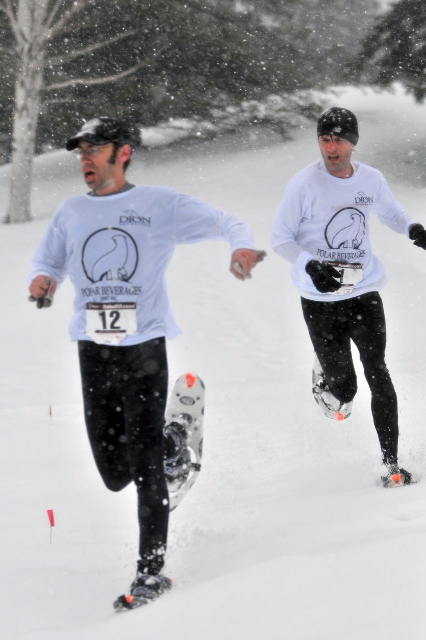 The Granite State Snowshoe Championship 10k saw a phenomenal finish in blizzard conditions, as Johnson and Tilton both dove for the line after an all out sprint that wrapped up a challenging 10K course over the Great Glen trail system. An under-the-weather and injured Dunham finished out the season in a strong 4th place. On the roads, Mike Quintal continued his winning ways and bested a field of 640 runners to win a 5 mile road race in Lowell, MA. 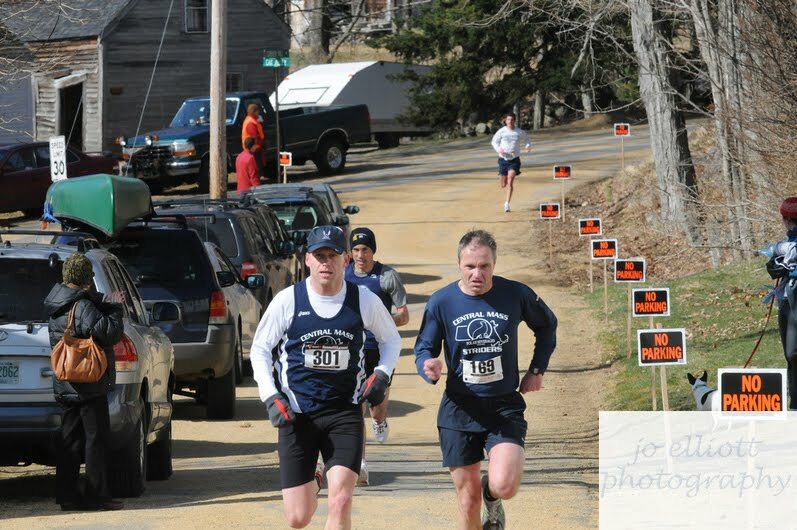 Pete Mallett (fresh off of Snowshoe Nationals in Syracuse, NY) threw down in a very fast field up at a new 5 Miler in Portsmouth, NH, which was organized by new CMS member Bob Wiles. 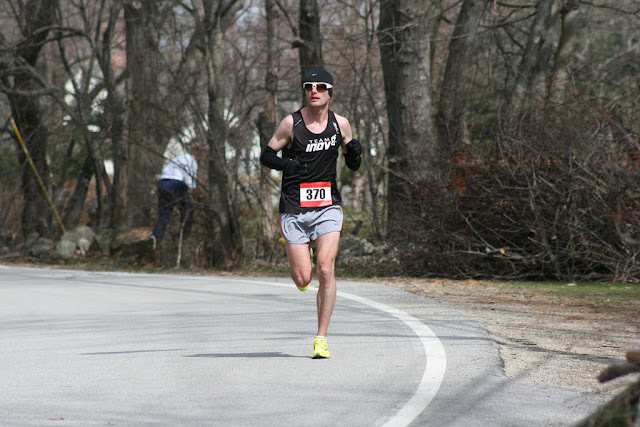 Kevin Fallon was also a winner this weekend in a St. Patty's day 10k in Malden, MA, and Jim Johnson started his double-weekend off with a close win over a charging Connor Jennings up in Concord, NH in the Spring Ahead 3 Miler. 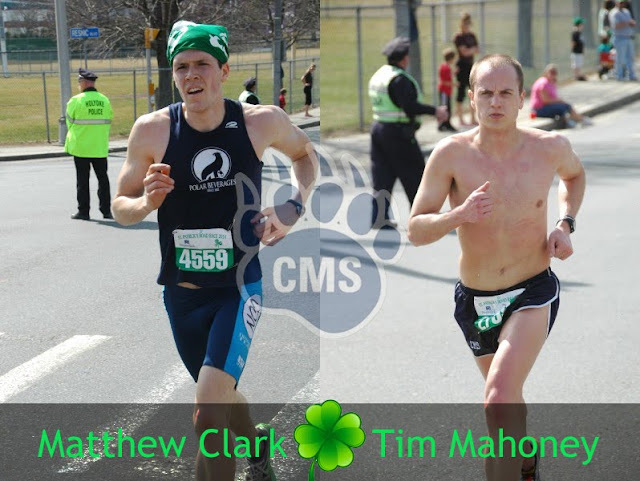 Rounding out 3 CMS places in the top 4 in Concord were new CMS member Matt Pimentel (who is still on the comeback trail after knee surgery) and top CMS masters runner Scott Clark of Gilmanton, NH. Speaking of Scott Clark...his Gilmanton 5k kicks off the 2010 C.A.R.S. series on March 27th. See here for detals.